When I first sat down to review this book I felt resistant. Not My Worst Day is an autobiography that narrates Alex Mvuka Ntung’s childhood and young adulthood in the Great Lakes Region, describing his experiences during the Rwandan Genocide in 1994, but also countless other incidents of xenophobia and violence directed against him as a member of the minority Banyamulenge ethnic group (also sometimes known as ‘Tutsi Congolese’) in the Congo and later in Rwanda. Ntung is now a researcher and human rights activist in the UK, having arrived here as a refugee in 2000. The scenes of violence and conflict Ntung describes in Not My Worst Day are so far from my own experience of the world that it seemed at first almost pointless for me to attempt to evaluate them in a review. Similarly, the book’s foreword by its editor Chris Sanderson and some reviews of the book point to this sense of distance for the Western reader – the contrast between ‘old’ and ‘new’ ways, ‘traditional’ and ‘modern’, Alex’s pastoral upbringing and his present-day life in the UK. But as I read more, I realised that one of the points the book makes is that Ntung’s experiences may seem extraordinary to some readers, a product of these apparent dichotomies – but it is this very illusion of disconnect that enables privileged readers like me to distance ourselves from the conflict and violence Ntung describes. Not My Worst Day is a well-written, compelling autobiography that describes Ntung’s adventurous but tough childhood, first herding cattle – sometimes involving trekking long distances through dangerous terrain without adult supervision – and then, through a mixture of family support and his own overwhelming determination, attending school and university in the Congo and Rwanda. 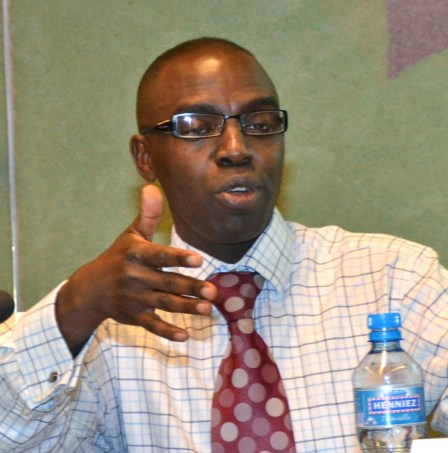 As a member of the Banyamulenge ethnic group, oppression and conflict were never far away, as Ntung tells it, and he recounts a number of almost unbelievably violent incidents he encountered as a child, including beatings, having petrol poured on him and being threatened with death, and being imprisoned several times. When he was not facing violence, poverty was an ever-present threat, and Ntung describes dealing with hunger and homelessness several times while still a schoolchild. Ntung joined the Rwandan Patriotic Front (RPF) while still at school, and while he was not directly involved in fighting himself (although he seriously considered it on several occasions), he took part in numerous support and reconnaissance missions. As the book progresses, the conflict in Rwanda becomes even deadlier, and we begin to connect Ntung’s own experiences of violence with the broader political picture in Rwanda and the Congo. Many of Ntung’s family members lost their lives or suffered unthinkable violence during the conflict. Having met these family members earlier in the book as Ntung’s childhood companions during his cattle-herding days or as schoolfriends, it’s almost unbearable when we hear what happens to them. ‘Today is not your worst day. You will die by someone else’s hands, not mine, and the route ahead is even harder’. Ntung describes how during difficult phases in his life, he constantly returned to this phrase that embodies despair but also some slight hope for the short-term. But this is no misery memoir; the book is measured and free from self-pity, and instead Ntung shows how the horrors he experienced could be avoided or solved with the right kind of political will, and moreover through the compassion he shows individual Rwandans and Congolese holding out for one another even in the very toughest of circumstances. Alex found writing his autobiography extremely challenging. Not only did he need to struggle to remember in detail events he would prefer to put out of his mind, but also the whole concept of writing about himself was culturally strange. In Banyamulenge society, the community matters so much more than the individual that expression important events using the first person pronoun (I, me, my, mine) is almost unnatural (ix). Sanderson furthermore describes a collaborative approach to writing the book, with Ntung initially writing in English (his fifth language) before deciding to switch to writing drafts in French, which he and Sanderson then worked on together. It would be interesting to hear more about this collaboration as a counterpart to Ntung’s sense of the difficulty of writing an ‘I’-focused narrative. ‘the root cause of all the problems in the area was a combination of the mismanagement of regional and cross-border identities and extreme poverty’ (288). Ntung is also clear, without being overly cynical, in his criticisms of political, media and NGO approaches to the conflict, arguing that Western countries ‘failed to understand the historical injustice that had created the dehumanisation of one group of people’ (262), in particular the distinction between the Banyamulenge and other Congolese Tutsi (225). ‘the world should know, and this book is my testament to some of the suffering of my community’ (293). But Not My Worst Day is also a finely written, intelligent and politically-attuned autobiography, a compelling story of a precarious but energetic childhood, and of the ways that an individual story can be woven into a broader political narrative. Africa in Words was delighted to host Alex Mvuka Ntung at the Africa in Words/ASAUK event ‘Writing East and Central Africa: Across Genres in Prose‘ in September 2014. An extract from Not My Worst Day is available to read online via African Arguments. 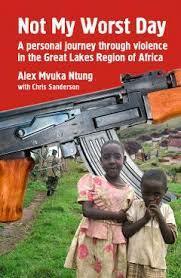 There is more information about Alex Mvuka Ntung and his work on his own website.